As you may recall from my previous post, filmmaker Stephen Robert Morse (C'07, DP /34th Street) got funding from Wharton to create a political documentary. From his Spring '07 Cinema Production course, Stephen has now submitted an entirely different type of film he wants to show us. ...A comedy that deals with "the morning after", revenge, STDs and all sorts of goodness. Look out for the use of Smokes as a location in the film. And try not to cringe when you see how the lead character uses Listerine to help his "situation" out. Stephen is now pursuing a Master's in Scriptwriting at the University of East Anglia and working at Blake Friedmann Agency in London, and plans to move out to LA in May '08 to find a job in the entertainment business. Add yourself to our facebook, friendster and/or myspace profiles! Taryn Winter Brill C'00 was most recently an anchor on Good Day Sacramento but has now gone national! 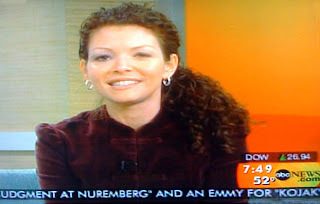 As of yesterday, Taryn is now the new entertainment correspondent on Good Morning America with Diane Sawyer! I caught her segment today which had her on the streets of Manhattan reporting on the sometimes awkward custom of greeting a stranger with a kiss. She's a sure natural! Taryn isn't the only Penn alumnus in front of the camera in the news. ABC must like our alumni because we have Stephanie Sy on ABC News and Dara Cook on ABC News Now. Outside of ABC, Emily Frances is the entertainment reporter on New York's WPIX. Click here to check out all my posts on our alumni "news" talent! Today's the last day to enter our March contest! Join the DuelingTampons Facebook Group! Per The Hollywood Reporter, Oliver Stone has chosen Liz to play Laura Bush(!) in a film about the presidency of George W. Bush (played by Josh Brolin). Liz is quite the versatile actress as she manages to easily transition from comedy (>Wet Hot American Summer, Slither, 40 Year Old Virgin) to drama (Seabiscuit, The Heights, Invincible). If Liz's career isn't big enough, playing Laura Bush in an Oliver Stone film should help to catapult her career even more! Sign up for the Dueling Tampons newsletter! From Scott Shrake's (GSAS'96) Huffington Post blog, to Rachel Goldberg's (C'96) National Protrusion site, it seems like our alumni have much to say about today's political climate. 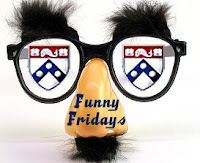 And now it's time to add another humorous political site from our alumni to the mix: Al Bingham's (C'92, Mask and Wig, Philomathean Socitey, Friars) The Purple Crayon. Per Al, this site is all about "political humor that makes no distinction between Red State or Blue. The pen may be mightier than the sword but The Purple Crayon is more colorful." "I think the NYTimes is worth reading, especially the Caucus Blog. Also firstread.msnbc.com. Assuming you're interested in politics, of course. If you're not really interested in politics then you should check out The Huffington Post's humor site 236.com (most of the news, some of the time) ... especially on the days when they're cross-posting libelous material from The Purple Crayon - my political humor blog - albingham.typepad.com. Apparently folks from Politico.com, CNN, MSNBC and a bunch of people in the House and Senate read The Purple Crayon from time to time... which is an indication of how low the media and politicians have sunk in the Stewart-Colbertian sense." 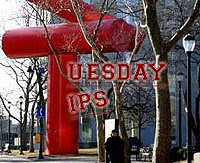 Find out more about what led Al to start blogging and to which alumni he gives thanks and credits! Got a site you want to promote? Submit it here! Jenny Suen (C'06) is looking for an assistant to both a producer and executive producer for a feature film production/financing/sales company. 2 more days to enter our March contest! Sign up for daily emails to get notified about alumni and undergraduate updates! 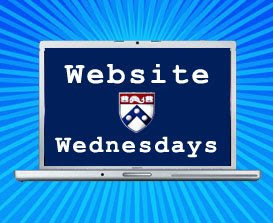 My friend Sara Scott (C'00) emailed me asking me if I could pass the word on that she is seeking "some smart Penn students interested in interning at her company". FYI, she works at a HIGH PROFILE company. Click here to learn more about this great opportunity! 3 more days to enter our March contest! The other day I got an email from undergrad senior Ryan Townsend (C'08) who was interested in moving out to Los Angeles to pursue a career in Entertainment Marketing and/or Publicity. Penn alumni Melisa Kirkup (C'01, Universal Marketing) and Ashley Berger (C'06, Warner Brothers Marketing) chimed in with some good tips regarding job searching and answering the #1 question most LA bound undergrads have: "Can I secure a job in Los Angeles before moving out there?" 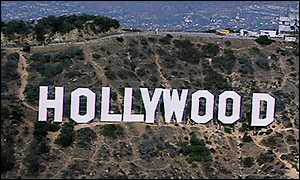 Be sure to check out my other Entertainment related Tuesday Tips! Three days left to enter our March contest: My Mugs for Yours! Undergrad Election Videos Go Viral ...Again! We've been hearing promises of commitment, creativity and change come recently from Hillary and Obama... and now from the Class of 2011! 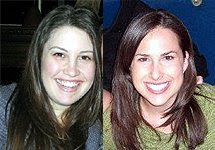 In Fall 2007, the 2011 candidates were using web videos to promote themselves for Class Offices and the Undergrad Assembly. It seems like everyone's back now from Spring Break and they're campaigning hard ...especially via facebook! I just spotted the first campaign video for Spring 2008 elections ...this one from Adam Behrens for Class of 2011 President and Matt Amaltifano for Undergraduate Assembly. I will also promote those candidates who get creative by taking a picture with Ben on the Bench for our March contest here! 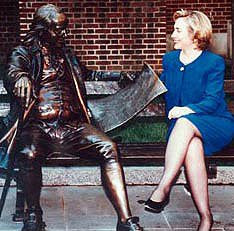 If Hillary Can Pose With Ben, So Can You! Click here for Contest Details! *3 winners will be chosen at random to receive (via mail) an authentic 2002 Pennfest mug. *3 will be selected based on creative approach. * In order to upload your picture, you'll have to register with the site. Be sure to enter your email address on your registration page so I can get in touch with you! Here's a great job opportunity from a Penn alum and former LA "Penn in Pictures" producer working at CAA here in Los Angeles.